Some 4th- 5th grade science projects are listed below to give you some inspiration for your own science fair project. You don’t have to use these science fair ideas as they are written down. Give them your own personal touch! Although they are also great to use as a platform to fire up your brainstorming process, so you can come up with your own original ideas. 4th grade science projects and 5th grade science projects are not too different. The main difference between the two is the quality and standard of how the findings are displayed. This means that as student advance through their school life they will have to show more and more understanding of the scientific method. They will also have to go into more detail about their findings and show more understanding of their findings. Elementary science fair projects do not have to be complicated, but of course 5th grade science projects will have to be more insightful than a 4th grade science project. For example if you were doing a physics science fair project you could study energy transfer using the Newton’s cradle as a 5th grade science project. You could also do one at middle school, but applying more knowledge to be able to conduct your experiment better and then to be able to conclude it with more detail and understanding. What is the best way to store bread without it going moldy? For this experiment all you will need is some bread and a couple of weeks time to perform the experiment. You will also require a responsible and experienced adult because mold can be toxic. For this reason all your samples will be put into a disposable, air tight container or plastic bag. Once you start the experiment do not open the bags or containers and afterwards dispose of them without opening them. Does the geyser go higher when the coke is warm or cold? When soda and mentos are combined carbon dioxide is released so rapidly from the beverage that a stream of soda will shoot up into the air. Try this with coke at different temperatures (e.g. 10⁰C, 20⁰C, 30⁰C, 40⁰C, 50⁰C...). Then draw a scale on the side of the wall going up in increments. You may want to use a camera with a fast shutter speed to help you to discern how high the geyser reached. If you have a good set of eyes just watch carefully and then record the height of the geyser. You could also test different types of soda to see which one reacts the best with the mentos resulting in the geyser that shoots the highest. Try different methods of cutting an onion without your eyes watering. This is a quick and easy experiment all you need to is to cut up an onion and try different things out. Does your dominant hand have faster reflexes? Test friends and family in this experiment to see which hand they have faster reflexes on by using a ruler. Hold the ruler and have the person have their hand in the ready position at the 0cm/ 0 inches mark. Tell them to catch it as quickly as possible once you drop it. Then drop the ruler and record where they caught it. Find out which hand was faster for each person record the result and then draw your conclusion. Do people that lose at video game still have fun playing them? Is losing fun? This is a fun experiment to do with your friends and family. Get a game which you can adjust the difficulty level on and then get your subjects first to play on easy so they win. Then turn up the difficulty so they are no longer able to do well in the game. Record how each person felt about winning and losing. Then write up a conclusion to why you think you got the results that you did. What concentration of alcohol in water is flammable? This is an experiment that must be performed under the supervision of an experienced and responsible adult. First start off with 99% pure rubbing alcohol as your control. Then slowly start reducing the concentration, depending on how accurate you want it to be your next test could be 19 parts alcohol and 1 part water. If were to use 99 parts alcohol and 1 part water the experiment would have an accuracy of 1% because I would have a total of 100 parts. Use an eye dropper so each part is one drop this will make measuring easier. How much alcohol will fit? How much rubbing alcohol can be filled into water before the solutions volume increases? You can start with 50ml of water and then add 1ml of alcohol at a time checking that it is still at the 50ml mark. As soon as the volume of the solution goes over 50mls and record how much alcohol you added. Then you could continue the experiment a little further and add more alcohol progressively to see if after that it adds volume 1ml at a time as you add the alcohol. Then write your experiment conclusion. At what temperature does super cooled 'Hot Ice' freeze the fastest? Prepare the hot ice. Then set one batch out at room temperature (20⁰C), another in the fridge (10⁰C) and the freezer. If you have access to dry ice or liquid nitrogen you could try to cool down the hot ice even further. When using the dry ice or the liquid nitrogen adult supervision will be required because cold things just like hot things can burn you. Antacids are taken by some to reduce the pain of heartburn. It does this by increasing the pH of the stomach environment (making it less acidic). To test which one is the best at increasing the pH you will need to use an acidic solution made up of an acid (e.g. vinegar) and a red cabbage pH indicator. The vinegar will be there to recreate the acidic conditions of the stomach which contain hydrochloric acid, but in this experiment vinegar will do. You will need around 4 or 5 different antacid brands. Then do some test runs to determine on how much vinegar, antacid and indicating solution to use to get the best results in terms of color change. I recommend using enough red cabbage indicator to give an intense color to the solution. Once you have determined how much to use of vinegar and antacid you can start your experiment. When doing the experiment also make sure to keep the amount of vinegar, antacid and red cabbage indicator the same as these are the control variables. The solution of red cabbage indicator and vinegar will be a bright pink-red to start with and as it then becomes more basic it will transition into darker and darker reds until it becomes purple. Once purple which is neutral it will become darker and darker purple until it becomes dark blue and eventually green. Before you start the experiment make sure you how the colors of the indicating solution correspond with the pH. 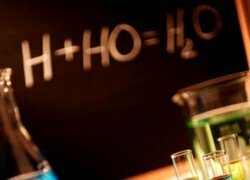 You will not need to know the pH of each solution just which solution is more alkaline. Your idea to 5th grade science projects. If you have knowledge you would like to share about a 5th grade science projects suitable as science fair experiment. Why don’t you show it off here and help others who are lacking in science fair project ideas? Science is ever changing and reviewing is knowledge. For an experiment to be taken seriously it has to be repeatable, so here you can share it and see what other people get. What grade is your experiment suitable for (4th or 5th grade science fair projects)? Introduce your experiment and describe. What was your hypothesis? Return from "5th grade science projects" to home.